Context - Technostrobe | Obstruction lights for tall towers in broadcasting, telecommunication, utilities and wind farm industries. 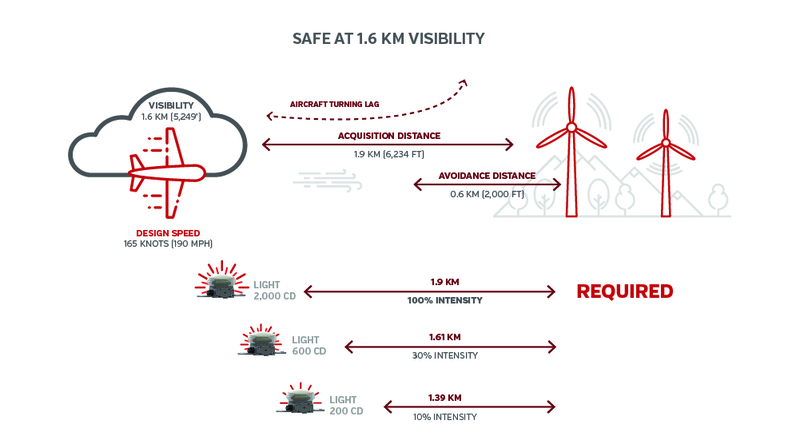 VFR flight rules allow pilots to fly only if the visibility is 1.6 km or 1 sm or greater. 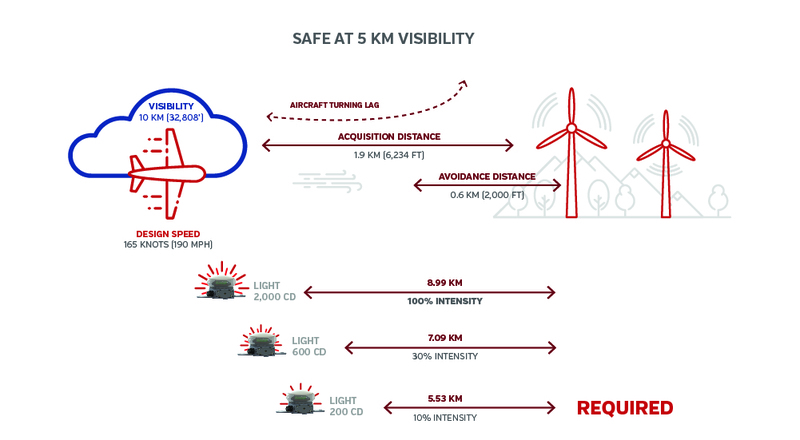 Taking into consideration the lag time of the aircraft turning, the pilot must be able to see or “acquire” visibility of the light at 1.9 km away from the obstacle if they are to avoid the obstacle by 2000’. 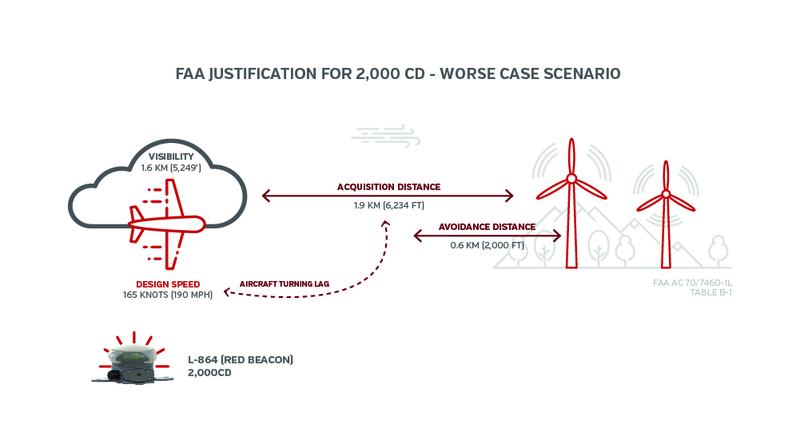 The necessary distance determined by the FAA and TC in regard to the worse case scenario is unavoidable: the lights must be at 2000 cd for the pilot to see at 1 sm of visibility. Right now, at every wind farm, the lights are always at full intensity at dusk regardless of the visibility conditions. 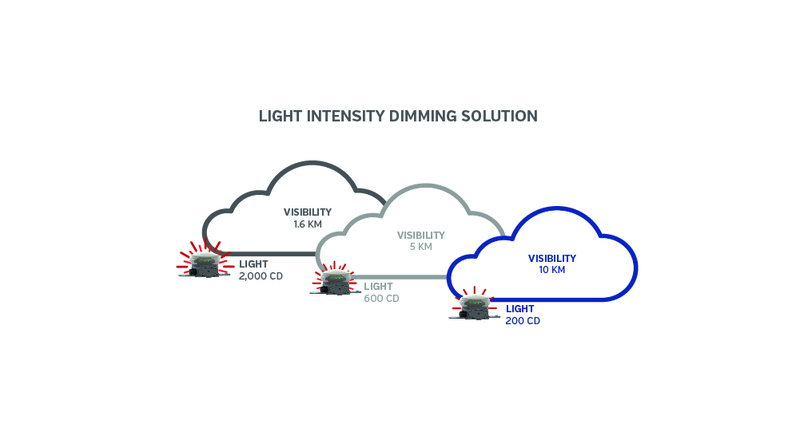 However, if we could mesure wind farms’ visibility, we would be able to adjust the intensity of the lights depending on the surroundings. 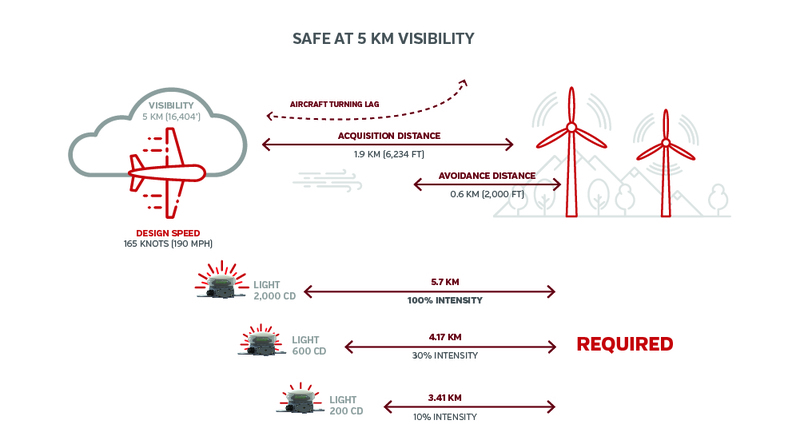 And because visibility is usually very good, beacons could function at minimum intensity while maintaining a safe acquisition distance for pilots. Technical assistants available by phone 24/7.